I have played recently 3 concerto's. 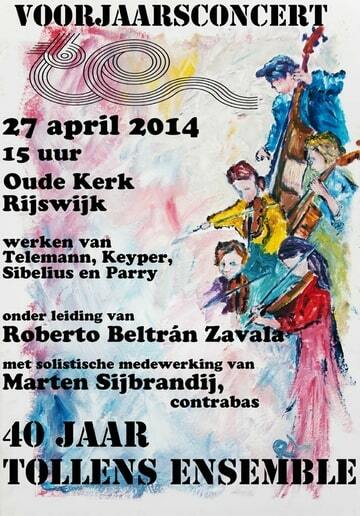 Barber violin concerto with Maria Milstein, Koppel Marimbaconcert, Keyper double bass concert. 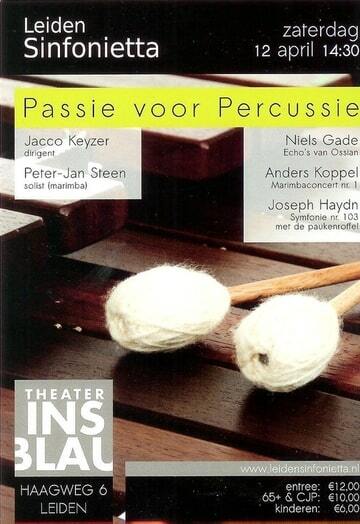 Maria Milstein plays here in Amsterdam with her trio a piece of Arensky. Beautiful unknown piece and very well played. She was semi-finalist in Brussel and her pianist Hannes Minnaar was finalist in Brussel. 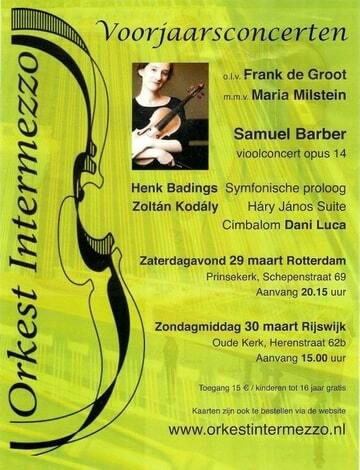 It is a pity that the cellist did not compete in Brussel otherwise the could call themselves the Queen Elisabeth-trio.